What's it like to get seriously lost? Fi Glover meets four people who have experienced being lost in a dangerous wilderness, in some cases for days, including Benedict who walked for days in the Amazon rainforest, Geoff who swam down the wrong river in Australia, Bim who wandered off piste in the Himalayas and Lois who got lost in the Sahara. Producer: Maggie Ayre. Three people who chose to defend themselves and others against abuse and bullying talk to Fi Glover about their experiences. They include Ashley who defended a woman wearing a hijab from racist abuse on the tube, Jayde who was 'trolled' over her appearance on a business networking site, and Victoria who faces regular abuse because of her facial disfigurement. Producer: Maggie Ayre. Shattered: "I'm existing, not living" is how one woman describes the effect of the parasomnia that causes night terrors and insomnia, which she says are wrecking her life. Three people tell Fi Glover how they cope with a chronic sleep disorder, something that affects many of us at some point in our lives. Producer: Maggie Ayre. The Wonderful World of Identical Twins: A new series of Shared Experience delves into the lives of twins, the pros and cons of having someone who looks and acts just like you. Twins Gillian and Tracy, and one half of twin sisters, Jasmine share their stories with Fi Glover, from instinctively knowing when the other is in danger, to managing occasional envy and jealousy. Producer: Maggie Ayre. 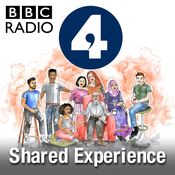 Three parents discuss how they've readjusted to life with a child with learning difficulties Producer: Maggie Ayre.